Hari ini, Tabung Amanah negara Norway telah mengumumkan mereka tidak akan melabur di dalam bon dan sukuk Malaysia lagi. Tabung milik kerajaan Norway ini mempunyai dana mencecah US$1 trilion (RM4.1 trilion) dan merupakan pelabur terbesar di dunia. Ini adalah pengumuman mengejut kerana mereka sudah berpuluh tahun melabur di sini semasa BN menjadi kerajaan. 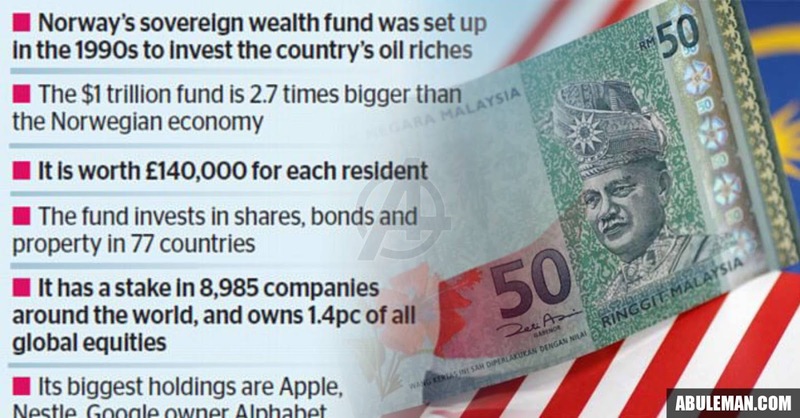 Ini bermakna #MalaysiaBaru akan mengalami pengaliran keluar pelaburan asing sebanyak US$1.9 bilion (RM7.8 bilion) dari Tabung Norway ini tidak lama lagi. Pada anggaran kasar saya, pelaburan asing sebanyak RM55 bilion telah ditarik keluar dari pasaran ekuiti dan pasaran bon Malaysia sejak PH menang PRU14. Government and corporate bonds with a total value of $17 billion at the end of 2018 would be affected, according to a Reuters calculation based on fund data. These are issued by Chile ($362 million), the Czech Republic ($50 million), Hungary ($63 million), Israel ($117 million), Malaysia ($1.9 billion), Mexico ($5.7 billion), Poland ($1.05 billion), Russia ($1.2 billion), South Korea ($6.3 billion) and Thailand ($241 million), the ministry said in a statement listing the countries, with the amounts taken from fund data. The fund will still be able to buy emerging market bonds if fund managers want to actively invest in them, rather than passively tracking the benchmark index, although such paper would be capped at five percent of the fixed-income portfolio. 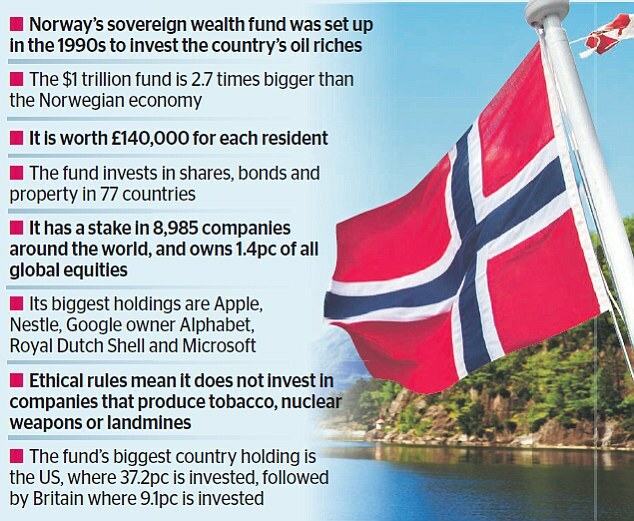 The Norwegian wealth fund, currently worth $1.05 trillion, invests around 30 percent of its assets in fixed income. The 70 percent invested in equities was not affected by the decision. In 2017, the central bank, which manages the fund, proposed cutting 20 currencies from the fixed-income benchmark, leaving only U.S. dollars, euros and British pounds. The fund's present mandate for renewable investments will double in value to 120 billion crowns ($14 billion), the ministry said, allowing investment in unlisted renewable infrastructure projects, such as wind or solar farms - something long demanded by environmental groups. Hendel said the new mandate represented only 1.3 percent of the present value of the fund. "It is a start but Parliament should increase it further," she said. The ministry also proposed tightening its rules for excluding from its investments companies that derive more than 30 percent of their revenues or activities from thermal coal.